Hi-I’m Ashlie, Amanda’s older sister and I am back for another edition of 7 minutes…7 pins. I invite you to sit down and grab a cup of coffee or ice tea and follow my clicks as I share what caught my eye on Pinterest. We’ve had a major heatwave in Michigan over the last couple of weeks. I am all about grilling out and keeping my kitchen cool. This grilled chicken marinade was a hit. Grill up some extra to add to salads throughout the week! 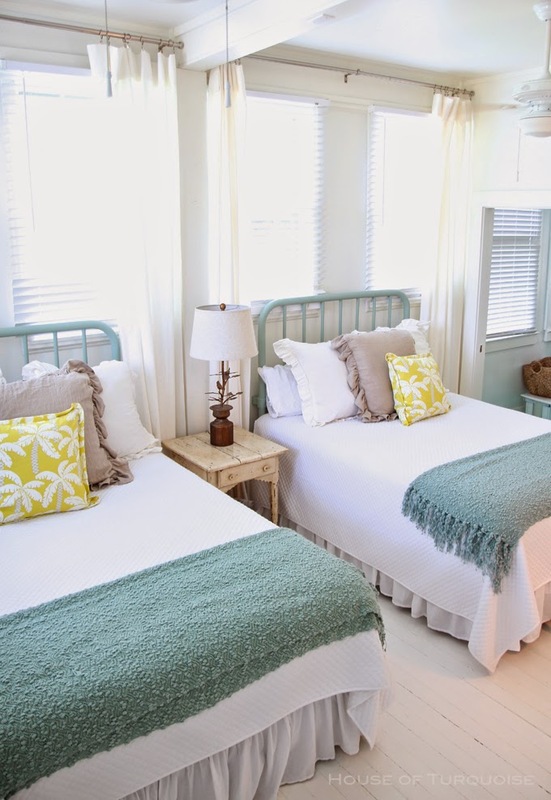 Click on the link of my next pin to see a tour of the cutest little beach house. The colors are gorgeous and the atmosphere is fun and welcoming. Now I want to visit Tybee Island! This next pin is genius and makes me want to add this to my summer to do list. The bloggers at First Home Love Life walk you through the steps of how they spent an evening color coding their breaker box. My husband and I just returned from a vacation where I enjoyed a frozen pina colada everyday on the beach! These Pina Colada Popsicles look delicious and pretty simple to make. Did you know that Kuzak Closet has an entire board devoted to ice cream treats? Be sure to check it out! I love the painted planked wall behind the mirrors in this next pin. What a great idea to add a little warmth to an otherwise all white bathroom. Gorgeous! 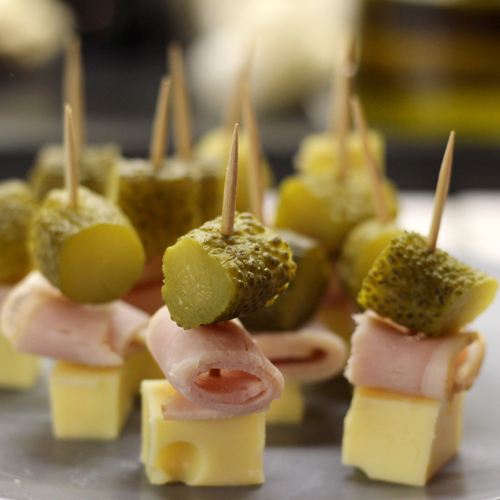 I love the simplicity of this quick little appetizer. They’re called Cuban Sandwiches on a Stick and they look divine. What an easy one to make ahead too! My last pin is one from my sister’s home renovation that features her master closet. I love the use of space and how it looks organized–yet beautiful and stylish. Thanks for following along and be sure to follow the Kuzak Closet Pinterest boards for great ideas that I pin each week.